Updated: Jan. 5, 6:45 a.m.| Posted: Dec. 30, 11:50 a.m.
Winter is back with a vengeance. 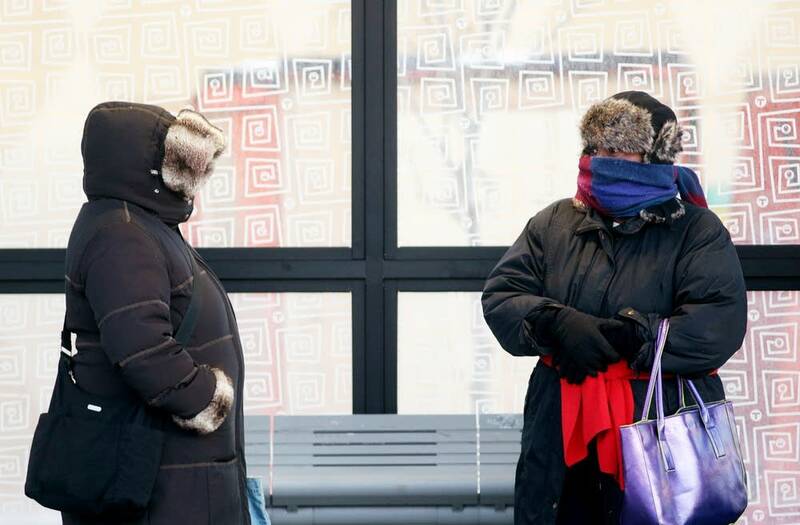 Minnesotans are in store for a week of subzero temps and dangerous wind chills. If you're headed outdoors, be sure to bundle up. If you don't, you risk hypothermia or frostbite. Here's a refresher on dressing for cold weather. It sounds obvious, but those venturing outdoors should wear a hat, mittens or gloves (mittens are warmer), a coat, boots and several layers of clothes. Frostbite most often affects the nose, ears, cheeks, chin, fingers and toes. Watch for symptoms including numbness, skin discoloration or waxy-feeling skin. What if you're just dashing outside to toss out the trash or running to your car? In most cases, you probably won't get frostbite if you don't put on a jacket or hat, says Robert Quinn, sales associate at Midwest Mountaineering. But keep this in mind: "People take for granted ... that they'll only be outside briefly," he said. "It's still wise to put on a jacket." Many things could go wrong — you lock yourself out or your car breaks down." Why layer? Because "each layer has its role in keeping your warm and comfortable and safe," Quinn says. Start with a base layer, which will help regulate your body temperature by wicking moisture away from your skin. Base layers should be made of merino wool, silk, polyester or polypropylene. They'll hold more body heat than cotton, according to the Centers for Disease Control and Prevention. The middle layer is all about insulation. Fleece and down vests are good options. The outer layer protects against rain, wind or snow. Match the degree of protection to your activity level, Quinn says. One big blunder involves not dressing warmly enough for outdoor events, Quinn says. If you're headed to the Winter Carnival or Crashed Ice, you'll need to put on more than what you would for that walk to the bus stop. That's because you'll be outside for a longer period of time.